As a believer, you need to have a biblical view of your heart, how it relates to the way you live, and why you can trust God with your inner life. It’s important to guard and examine your heart—to take time and make space to slow down, be silent, and invite God to search your heart. “Follow your heart” is popular advice today. What does God’s Word say about that? We’re not outside-in people but inside-out people. When we feel that something is wrong with us, most of try to fix the problem by doing. We change our schedule. We tell ourselves we’ll eat better, exercise more, or spend less time on our phones. But the problem isn’t any of those things; the problem is our hearts. They’re sick and in need of God’s help. We can’t change our hearts through behavior modification; we need heart transformation (see Ps. 51:9-10). And see if there be any grievous way in me, and lead me in the way everlasting! It’s impossible to have a clean heart without gospel transformation. God must come to us and make us new. We need to examine our hearts and invite the Holy Spirit to continue to change us. The gospel isn’t just for the moment we believe. We need the gospel every moment of our lives. Our hearts are made new by the Holy Spirit the moment we believe; they’re renewed as we pursue the Spirit day after day. No good tree bears bad fruit, nor again does a bad tree bear good fruit, for each tree is known by its own fruit. For figs are not gathered from thornbushes, nor are grapes picked from a bramble bush. The good person out of the good treasure of his heart produces good, and the evil person out of his evil treasure produces evil, for out of the abundance of the heart his mouth speaks. What comes out of our mouths is born and bred in our hearts. Good fruit doesn’t come from bad trees. In other words, the fruit of our lives corresponds to the health of our souls. The beautiful reality of the gospel is that God is concerned about your heart—about your soul. Jesus’ life, death, and resurrection purposefully restored, redeemed, and healed your heart from the power, presence, and penalty of sin. We often avoid making space in our lives to focus on our hearts because we’re afraid of being overwhelmed by what we’ll find there. It’s scary to imagine all of our wounds, desires, and disappointments, and we think life is easier if we avoid them and press on. Seeing God as our hope makes us contented children. We find peace in our souls when we wait and hope in God. The Bible invites us to cry out to God. To wait on Him. To find rest. Rejoice in the Lord always. … The Lord is at hand; do not be anxious about anything, but in everything by prayer and supplication with thanksgiving let your requests be made known to God. And the peace of God, which surpasses all understanding, will guard your hearts and your minds in Christ Jesus. If you don’t slow down and say, “God, work on my heart; reveal what I’m believing; reveal what I’m thinking; reveal what I’m wanting; reveal what I’m lacking,” you’ll continue to run away from your heart. However, your heart is driving everything you do. If it continues to go unexamined, you’ll lose your life chasing things you don’t even understand. You’ll be tired. Your soul will be exhausted. It’s possible to be so busy that we never stop to reflect on what God is doing in our hearts. After we’ve spent time in His Word, we must pause to reflect on ways that truth needs to be implemented at the level of the heart. 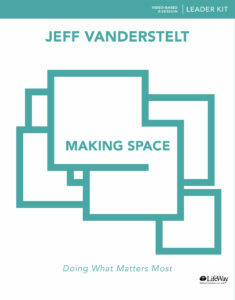 Excerpted from Making Space: Doing What Matters Most. 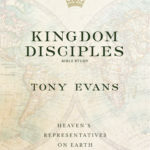 Published by LifeWay Press®. © 2018 Jeff Vanderstelt. Used by permission. 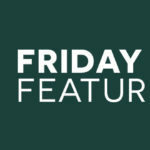 Scripture quotations are taken from the ESV® Bible (The Holy Bible, English Standard Version®), copyright © 2001 by Crossway, a publishing ministry of Good News Publishers. Used by permission. All rights reserved.